The cookie cutter approach to online advertising, particularly in social media channels, means many online advertisements are being created without much thought. It’s so easy to create an advertisement on Facebook or LinkedIn for example, that any fool can do it — and many do — without a brief. Yet all great advertisements, regardless of media channel, start with a brief. And that brief will contain a consumer insight from which the proposition is formed and the advertising is created. 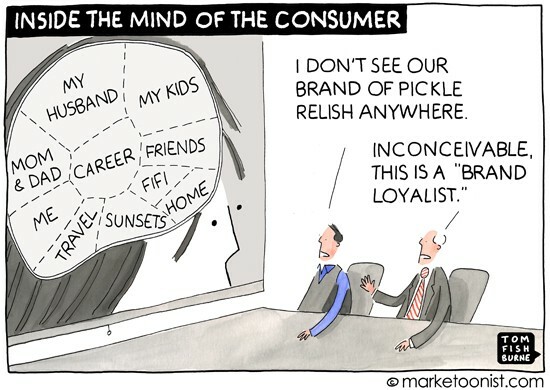 Much has been written about how to discover a consumer insight. Given it is a key topic in a number of the advertising subjects I teach at university, I’ll steal from the best for this article, and share some of my own experience. · A new way of viewing the world that causes us to re-examine existing conventions and challenge the status quo. · A penetrating observation about human behaviour that results in seeing consumers from a fresh perspective. · A discovery about the underlying motivations that drive people’s actions. An insight reminds you of something you’ve never seen before. It comes from understanding the ‘why’ rather than the ‘what’. Why do people think the way they think, or act the way they do? It’s not an observation of what they are doing — it’s a recognition of ‘why’ they are doing it. When an advertisement reflects an insight in a creative way, the consumer will reflect, “I thought I was the only one who thought that way”. It’s why you should always write your insight in the first person when using it in a brief. Insights come from research, talking with consumers, understanding the category — always asking “why”. Many people confuse insights with accepted consumer wisdom, facts or observations. Insight: People will refuse to use a toilet if they believe it to be “dirty”. They’d rather hold-on until later, than use an unclean toilet. 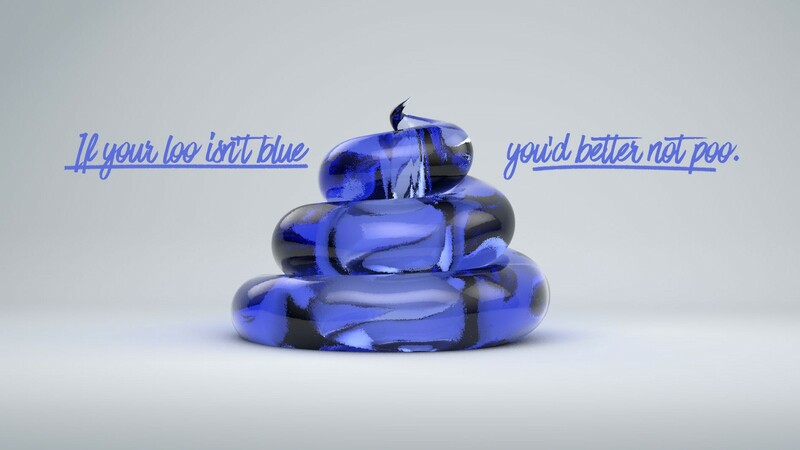 This was the insight that led to chemical manufacturers convincing the world “if your loo isn’t blue you’d better not poo”. The insight opened up an opportunity to position toilet cleaning products, using colour and fragrance as benefits, as essential for good toilet hygiene. Advertisements using facts about germs and toilet (un)cleanliness were created to justify why clear water in your toilet was a sign of an unhygienic toilet. Millions of dollars were spent (and profits made) educating homemakers to buy special toilet cleaners that left the water in their loo blue. After all, you might have clear water in your loo but it could still contain germs. But if the water in your loo is blue, you know you can use the loo without fear. An insight needs to be a fresh view of an existing situation — a new problem or an existing problem described in a new way. Better still, if an insight identifies a dilemma, then it opens up an opportunity for advertising to propose a solution. 1. When people host a social event they feel it’s rude to ask guests to bring something. 2. When people are invited to a social event they feel it’s rude not to bring something. 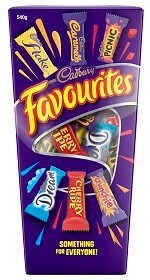 It was supported by the fact that Favourites is a box of mini-versions of different Cadbury chocolates — and every consumer has their favourite Cadbury chocolate. A box of Favourite chocolates is great for sharing and for giving as a gift — particularly to the host of a social event. So the advertising demonstrated the solution for both the host and the guest. Interestingly, we discovered a similar issue to the host/guest dilemma in B2B marketing for office supplies. Research revealed that individuals who buy the office supplies can feel guilty getting a promotional gift or incentive from suppliers of the products, because their peers don’t get a gift too. If they did get a promotional gift they preferred one that could be shared with colleagues. By unselfishly sharing a reward with their colleagues, they felt better about themselves and it improved their social standing within the workplace. That’s why large bags of jelly beans, snakes or mints make excellent incentives for office stationery sales. 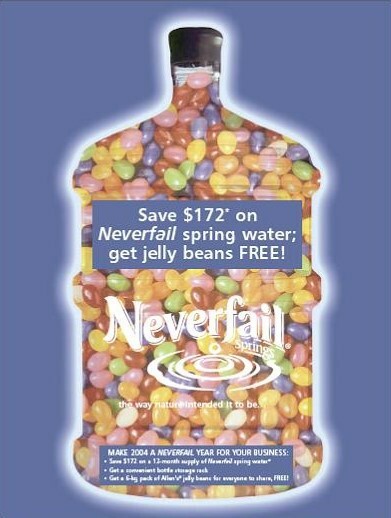 When promoting Neverfail Springwater cooler services to SMEs, my agency became one of the largest customers of Allen’s confectionary during a twelve month period, as we ordered pallets of jelly beans to give away to new customers. The incentive was one of the Neverfail 5 litre water containers filled with jelly beans for new customers — and it worked a treat. So if you are creating advertising, be it a standard sponsored post for a social media channel, a landing page to convert visitors, or a 60 second spot for television make sure your brief contains a consumer insight. It’s the key to making your message as relevant as possible and getting your prospects nodding their head in agreement with you.